A long-awaited fifth patch is ready now. This time I spent a lot of time trying to optimize performance, visible only on certain systems though. I had in plans much more to add to this patch, but couldn’t make you wait any longer. I guess the next patch will come much sooner. Hi , I have an issue when I launch the game ‘Can’t find MSVCP140.dll’ . I haven’t this with the previous patch. Thanks, this solve the issue. Same here, completely unplayable. Some savegames crashto desktop immidiately, a new game crashes within minutes. okay now after playing some time with the new town crash appears again. Why cant I see this on humble ? Had you previously bought the game? Win 7, didn’t experience any immediate crashes or missing files. Just will have to play for some time. wieso kann man den patch5 nicht herunter laden. Hast du den Link vom Kauf bei Humble Bundle noch? Der müsste jetzt auf den patch5 verweisen. Newbee to the game today. I installed and played the game but there was everytime the (auto) save error: failed to open file for for writing. In my firewall the game is allowed. So, what can cause this error and how can I solve it? ??? You filter the web by browser ??? You website return a empty page with http error 447 on brower Vivaldi ! About new patch. Waterside buildings connot be demolished again. Seemed to me, they were demolishable in a previous version. Funny thing – initial log benches near the campfire turned to usual benches after loading game. Nice patch, except that any attempt to plant a tree causes a crash to desktop. Not essential though, as I previously found a while back that after planting over a thousand pine trees for the sawmills, all were protectected from cutting. LOL. I had to laugh. Be nice if it were possible to switch the protection on all trees being planted as either on or off as an option. Demolishing and undo demolish both cause the buildings to go in to “stall” states even if resources exist. if you want to email yhevnie directly there is a readme file in the game folder with his email address in it and directions on what to send him. thats the easiest way for him to get a look at and debug the glitch/crash or stall. Just updated patch 5. Game doesn’t load get message saying need openGL 4.3 or greater. I’ve updated GPU driver still nothing. GPU is a gtx 1050ti 4gb. Hoping it’s still supported and not needing to buy a new GPU. Any ideas how to see what openGL I’m running and to update it without going through Nvidia website or app. Very nice game, every time I get more addicted 😉 !! But it would be useful to plant trees that are not protected from cropping. I had to do it one by one per hand or build a new forestry. Perhaps a thing like a brush to remove protection or even plant trees would be very helpful. Also sometimes my managers in the tradepost gets “lost, so that no messengers arrive from other towns or a deal can´t be fullfilled and the messenger cost is spent useless. The same happens sometimes to my farm managers, so the fruit tables disappear and i have to renew them when a new manager comes. Even the job offering disappear and i have to add a new job offer. Just have got a crash when initial tent got demolished as family went to a house. Great patch! 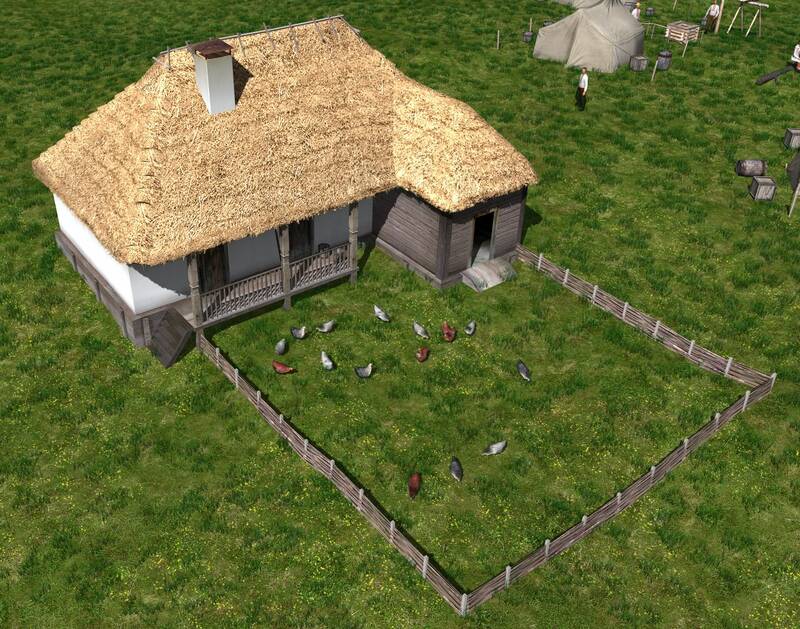 Unfortunately villagers won’t purchase eggs. I have a LOT of eggs on hand and I’d love a way to sell them off. Also, would it be possible to add shoes to the trading post? There’s a town that wants them, and I have them, but I can’t sell them through the trading post. Lastly, villagers still cannot get firewood from warehouses. Thanks for all your hard work! The email with the link to my game got deleted. And it doesn’t show up in my humble bundle library. How do i download it again? Just got it the other day and gotta say for 1 guy you have a good base game there, visually/performance wise it trumps some other more well established games and with some additions/bug fixes and tweaks it’s gonna be a really good game. Food production/consumption amount could use some tweaking seem to have plenty but it dwindles fast and people complain they have no food when there’s a market with food in it. Could do with finer control of the rotation so we can get straight as desired (not by luck). 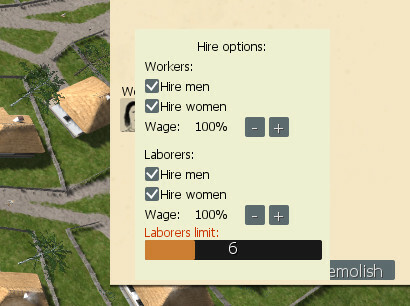 Easier way to mass control on where people are needed to work like in Banished they have the tab with all workers and jobs they could fill. I’ve bought this game directly from this website, without humble bundle. How can I get the update? I guess that using this website gives you a Steam code? Unfortunately no Steam code, don’t think the game is even available on Steam? That worked 🙂 had found the link in a post below just a few minutes ago. Thanks! Thanks for the update! It’s running great and i haven’t had any crashes so far. I gotta say i love that you included the font file. Let’s me easily change it to a custom font that i’ve been obsessed with for some time. Just loving this game. Thank you!